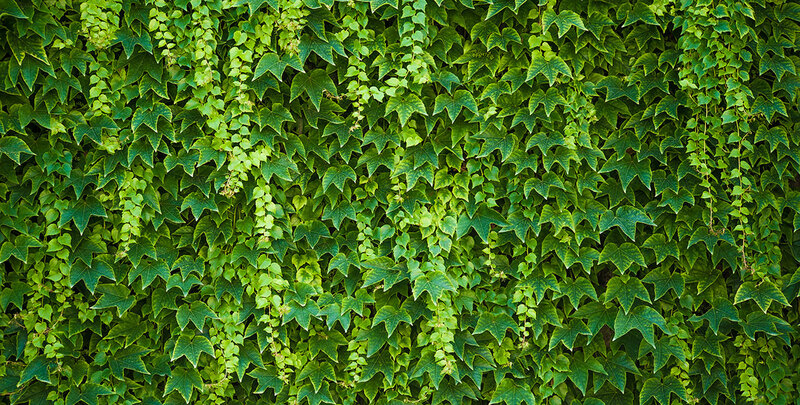 Ivy, also known by its Latin name hedera, is perhaps best known as an evergreen climbing or creeping plant. As such, it is often seen climbing walls, trees or poles, but without such support, it will grow horizontally, which makes it suited as a ground cover. However, if it is planted against a wall or any other vertical object, its aerial roots will cling to it and it will grow upwards. It is very easy to train ivy to grow vertically and if you let it grow through a frame, you will get the perfect combination of a hedge and a fence, creating a tough, evergreen, handsome screen that does not take up much space and provides year-round privacy and security. Ivy screens are a great choice if you are looking for a fence-like hedge. 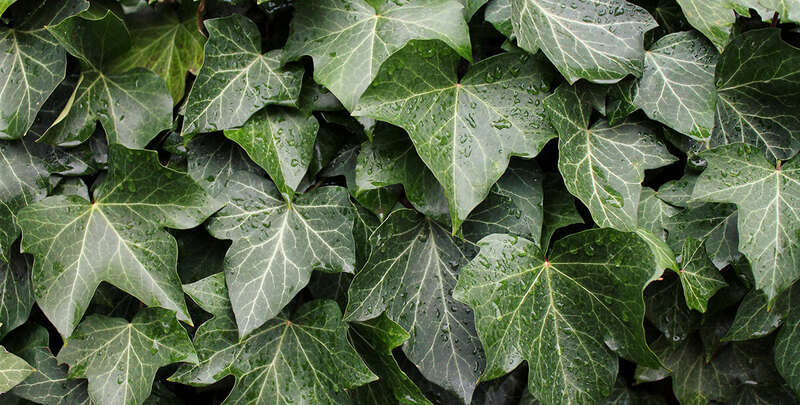 Ivy is recognised by its deep green, leathery foliage. There are two species of hedera that are widely grown in the UK as well as many other European countries. These species are the hedera helix, also known as common ivy or English ivy, and hedera Hibernica, also referred to as the Atlantic or Irish ivy. The latter is characterised by a darker green than the former, but both grow yellow-green flowers during the autumn, followed by clusters of purple-black berries later that season or during the early winter. For hedging purposes, ivy can be an interesting alternative to fencing, walling, panels or more traditional hedges, such as box, yew or beech hedges. And since ivy is exceptionally fast-growing, it will not take long to grow a dense ivy hedge. The aforementioned two species of ivy are the only two species commonly used for hedging, but since they are native to Europe and western Asia, they will certainly thrive in a European garden. In addition, ivy is of immense value to wildlife. Ivy hedges provide a habitat for insects and produce flowers that are rich in nectar, providing an important food source for all kinds of insects during the autumn months. That even includes endangered species such as bees. Moreover, the dark, tiny berries that appear during autumn and winter provide sustenance for birds during the cold months, when food is scarce. In a way, an ivy hedge does not just do its owner a service; the entire world profits from its presence. Ivy is one of the very few evergreen hedging plants native to Europe. Because of that, ivy hedges are very popular among gardeners who exclusively plant native species, because they will still look bright and colourful when the cold has forced most other native plants to shed their leaves. Ivy leaves and berries have been used to treat cough and bronchitis in the past, while ivy extracts are still used as a part of cough medicine to this day. 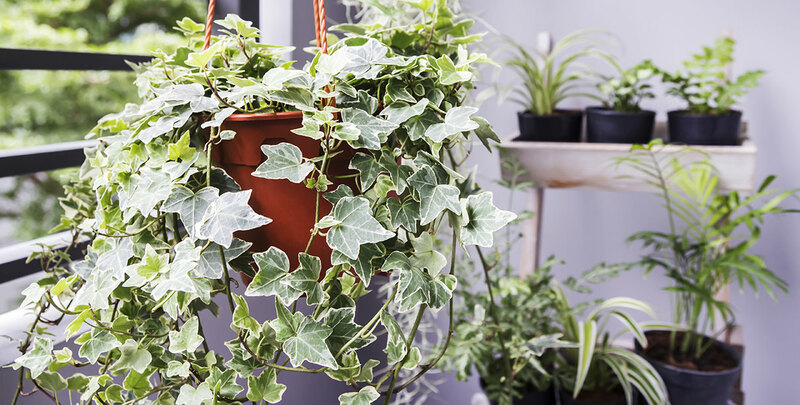 Also, several European governments recommend using hedera helix on buildings for its temperature regulating qualities, as it cools a building during summers and provides insulation during winters. In addition, it protects buildings from soil moisture and direct exposure to extreme weather. Ivy has the ability to grow up to 30 metres high if it finds the right host, such as a large tree. Both the common ivy and the Irish ivy have an average growth rate of 50 to 70 centimetres per year, depending on weather and soil conditions. As you can see, they are very fast growers, able to form a full-grown hedge within just two or three years. Ivy hedging screens should be trimmed to shape twice a year, which can be done all year round. Ivy has a tendency to overgrow other plants. They are sometimes used deliberately as an invasive species, but this is not desirable when ivy is used as a hedging plant, so be sure to trim your ivy hedge annually. 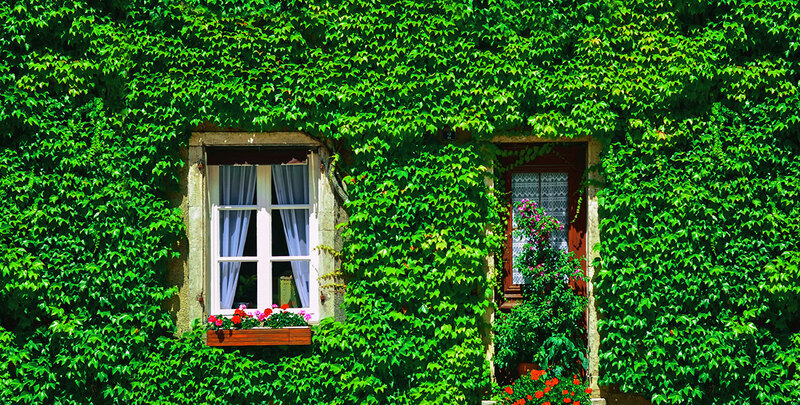 When ivy is used as a ground cover, it is generally more likely to overgrow other plants than when you train it to climb up a vertical object, such as a wall or a frame. Ivy is fully hardy and a very tolerant plant when it comes to soil types and planting locations. Therefore, it will thrive wherever you choose to plant it. It does prefer a moist, light, humus-rich and well-drained soil in the full or partial shade, but it is also tolerant of direct sunlight and drought. There is a slight risk of frost damage when an ivy hedge is exposed to an extremely cold, dry winter, but ivy is a strong plant that will certainly recover from such damage. While ivy may not commonly be known as a hedging plant, it can easily be trained to grow as such, using a frame as its host. Due to its extremely rapid growth rate, it does not take much time until you have a dense ivy hedge that will guarantee your privacy throughout the year. This type of hedge does not take up much space, which makes it an attractive hedging plant for smaller gardens, but ivy hedges can even be a valuable addition to more spacious gardens, due to its attraction to wildlife. In addition, the brilliant, dark green leaves of this plant add a little elegance to every garden. Using a frame to grow an ivy hedge is truly the best of both worlds. Ivy screens can even be ordered readymade as instant hedges. Just like a fence, it does not require much space, but at the same time, an ivy hedge will add a lot more beauty to your garden than a relatively dull fence does.